The next Happy Hour will be held at the SUMOMAYA restaurant on Thursday, February 8th at 5:00. 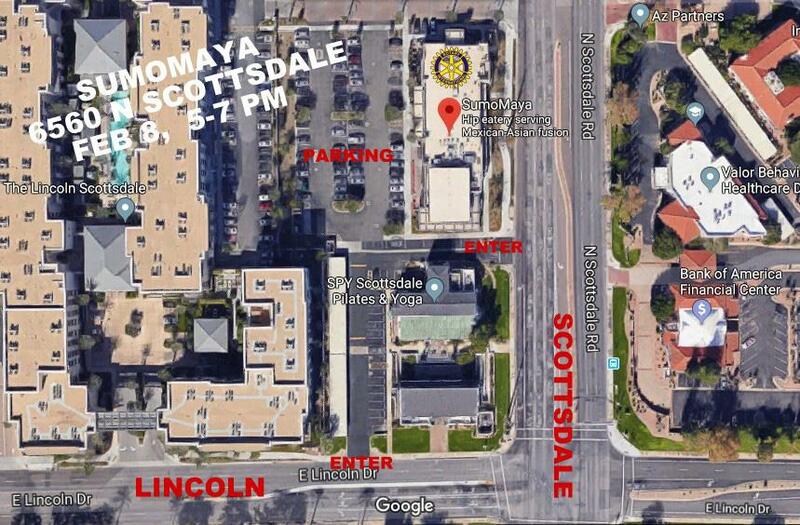 The SUMOMAYA is close to Scottsdale Road and Lincoln Drive. See the map below.